After forming ties with Tang Zichen of the secret Tang sect, Wang Chao began to rely on his exceedingly unusual determination to slowly walk towards the peak of martial arts. Fighting masters of every form of martial arts, joining and betraying the mysterious organization, and even joining every faction of power! Review as of ch 56. Well, well. I was deceived by the whimsical name and thought it was some sort of story that had mystical connotations of sorts, and I expected a usual story of hidden relationships between martial artists like in Crouching Tiger, Hidden Dragon. No, this is a martial arts story with real Chinese kungfu set in modern-day China. A previous reviewer mentioned the similarities with the Japanese kungfu manga “Kenji” and I agree. The novel follows the martial path of an average teen student named Wang Chao who had... more>> a fortuitous encounter with a mysterious older woman whose kungfu practice entranced him. She saw his earnest interest and took him in to mentor him in the ways of Guoshu, a deadly martial art derived from the combined essences of kungfu from all over China. After a period of teaching, she decided to part ways. Left to his own devices, Wang Chao begins to walk down the path of kungfu in modern China, trying to reach a higher level of enlightenment, facing the modern realities of financial needs, encountering other masters of the martial arts, lowlife gangsters and the very real danger of firearms. This is mostly about real kungfu: punches and kicks, grapples and throws, dodging and blocking, sparring and massed brawls. Each action scene is explained in detail and I find myself wondering if the author is either a martial arts choreographer or is constantly referring to picture guides of kungfu to construct them. Later on there are some elements of the fantastic like qi; but it’s mostly grounded in reality and the customary beliefs of kungfu. Of course there’s some fiction in it, the highest levels of kungfu described within are said to be pushing the limits of what a human can do, a level above an Olympian athlete. Stuff like the MC’s speed of learning, sensing killing intent, sweat pores of martial artists, increased vitality and health and such. But these are introduced very gradually so that the reader would find it acceptable. Of note is the care and accuracy of many things described in the novel. The Central Guoshu Institute mentioned in the novel was a real historical institution. In fact, many terms, names of individual kungfu moves and their specific actions, famous persons and histories are all taken from real history and literature. One can spend quite some time looking them up in Google and Wiki like I did. Actually you might want to, as the author assumed the reader would be somewhat familiar with the names of those past masters and did not really elaborate on them, nor did the translator put in any historical notes. Otherwise, the translator did a very good job as some of the terms are the official English names found in various websites (eg, for Tai chi). There aren’t any glaring problems with the translated text, it seems very polished and edited. The novel itself is very well written. It reads like a novel that is trying to be solemn and serious about the subject matter, even though there are some weird but short detours here and there about the MC’s financials in the computer networking industry (yes). Like a kungfu movie/serial, it focuses more on the action. The distinct characters are few, they are mostly enablers to give the MC opportunities to go deeper into the realm of kungfu. Some aspects are not realistic (eg, the bodyguard job) but the author needed to put in some color and drama into what is otherwise a straightforward kungfu novel. Things get more interesting when the criminal underworld and the political realm are introduced much later. The dialogue works well enough, though the early chapters are almost lecture-like and a reader might find it boring. The action ramps up quite nicely later on. If you dislike racism don't read this as in some parts of the story they make Japanese people look evil, using a young Japanese girl to tell people to kill the MC and then how a character told the MC that a Japanese man acted Chinese learned from a master then killed that Chinese master making Japanese people out to be abominations. They also make the MC walk through Inner Mongolia or Mongolia and when he has a break through a Mongolian girl kneels before him thinking that he is her god? WTF It's as if the story was made to get back at countries they lost to in history in relation to war. The Author's narrative was so good, he can... more>> even fluently draw the MC's changes from when he was an ordinary student till he started to become known as an expert, not only in behavior but also mentality. All in all, RDS is a very good novel and I see even more interesting development in the future if the Author didn't flop. First, I was totally mislead by title... My thoughts were quite naive actually, as the title implied, I thought it was simply a romance betn snake and dragon who had been reincarnated into humans. As they say "Don't judge book by it's cover". I tried few chapters and found myself totally engrossed into this novel. Each chap seems so realistic. I m loving it...:) I highly recommend this novel. Okay... I admit. When I first read the title I thought it was going to be about another cunning and ruthless female lead and a bunch of romance. Then I read the first three chapters and I was like... wait. This is not what I was expecting at all. I love it, and I hope the story continues to defy my expectations. This novel kinda remind me of an old manga titled "kenji" with a deep understanding of martial art, The story is well built and not too forced. 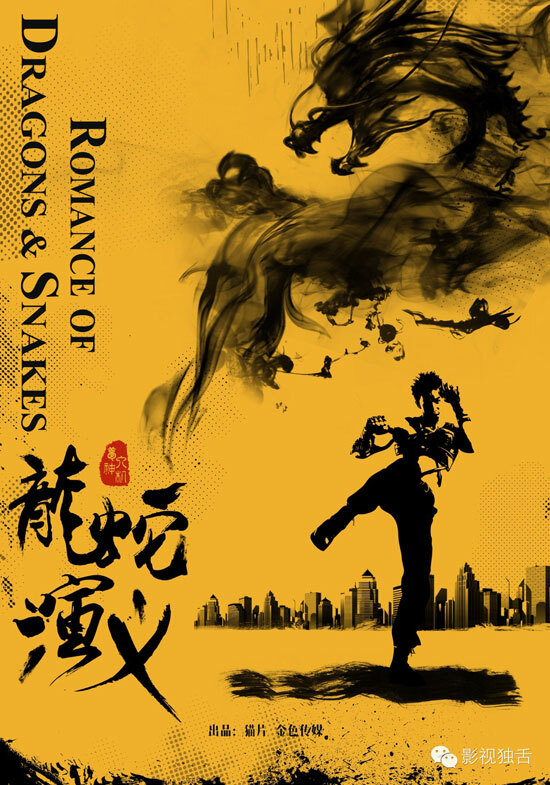 If you are looking for a pure martial art story then this is the right novel for you to read. Unique novel. İNteresting characters. Modern times. Good job! The series follows modern-day martial artist Wang Chao, who was initiated in the Goushu martial arts. On his martial path, he learns other martial arts to complement his skills and hones his skills against other experts. I have only good things to say about the story so far. However, I can't give this translated series full marks because of poor grammar which does take away from the enjoyment of the story. Read up to CH 13. I was surprised that the setting is in modern times. Poor and introvert MC finds an interesting person practicing martial arts in a park. He ends up begging her to teach him without knowing her background. The start of the story is quite slow as he learns the basics. If you like contemporary settings with the same martial art jargon as many xianxia, you may like this novel.